At the end of this Monday’s comic review of “Zombillenium” on Haunting TV, I ask a question about what your favorite childhood horror ‘thing’ was and for me it was two things. Goosebumps, and Scary stories to tell in the dark. I’m sure most folks have heard of RL. Stine’s Goosebumps series, but have you heard of “Scary Stories to Tell in the Dark”? If so, you are my childhood horror soulmate and our crooked little souls should wander off to play hopscotch together in the graveyard. If not, I’m more than happy to fill you in. 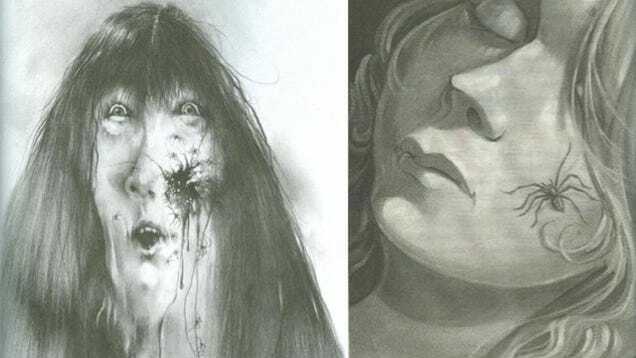 Scary stories to tell in the dark was written by Alvin Schwartz and illustrated by Stephen Gammell. And it’s been a while since I’ve revisited these books, but I can honestly tell you that I don’t remember a single story from the books. The illustrations, however, I have never forgotten. They made a lasting impression on my soft and squishy childhood psyche. And actually, I can still see a lot of influences from these books in my own artwork. I’m more than a little sad that they re-published these books in 2011 with new artwork though. I guess someone finally spoke up about such disturbing imagery being published in a kid’s book… Come on grumpy pants! I grew up on that artwork and I turned out just fine! Above are two images, one from the original printing and one from the newest edition. Kind of a big difference isn’t it? The one by Stephen Gammell gave me serious nightmares and still makes me think about spiders breeding inside of my face only to chew their way out. Potential TMI, but it’s why I always attack blemishes on my face with pins and rubbing alcohol. Let ’em run their course? Heck no! There might be spiders in there!! 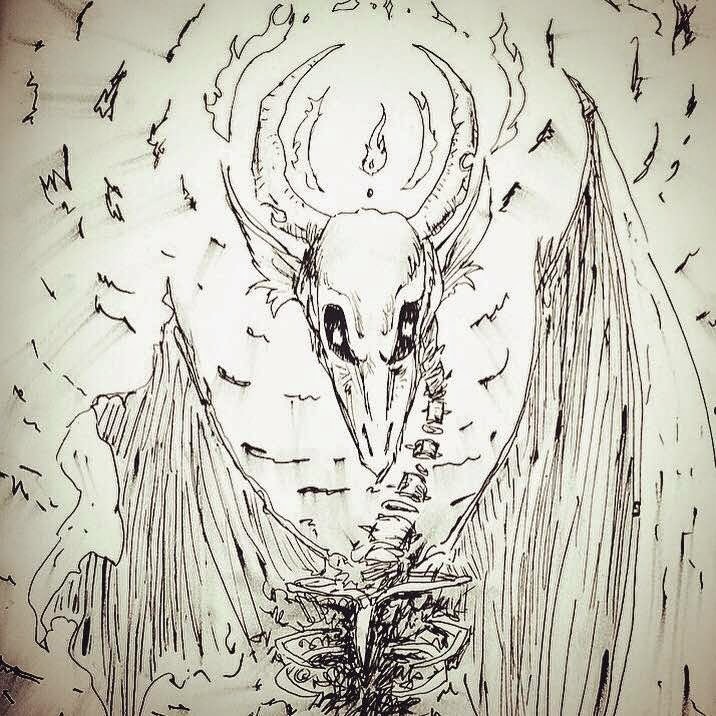 I found this really cool blog post about the differences between the old and new artwork and if you’d like to read a little more on the subject, you should check it on darkcornerbooks.com also the rant/post over on adventuresinpoortaste.com does an eloquent job of capturing my feelings on the subject. I think that, without the work of Gammell, the book suffers greatly. So, sorry to the author, but the illustrations stole the show. I mean, really… How can you think you’d be able to replace this? How about a documentary about the books?